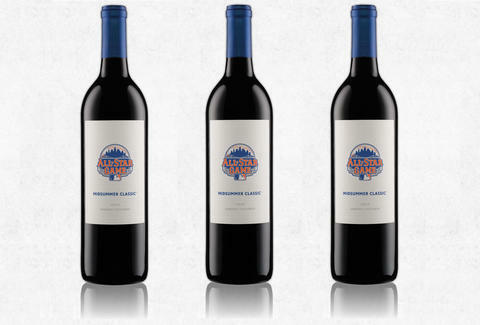 The Mets just got super-classy, thanks to wine specifically made for... the All-Star Game? Vintners and Keith Hernandez alike can rejoice: in honor of the Game Of All The America's Pastime Stars being played at Citi Field, Napa's Purlieu and their sister vineyard Le Pich have ushered forth a beautiful synergy of Dionysian and Gary Carterian traditions with their Midsummer Classic Limited Edition Sonoma Cabernet Sauvignon. With its hints of blueberry, blackberry, and loam, it pairs beautifully with classic encased American porcine frankfurters, golden-fried crinkle-cut French fried potatoes, and $14 domestic light session pilseners. Not even William Buckner would let this one slip through his hands/legs. 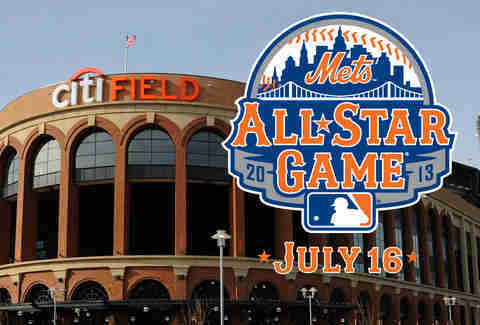 Not willing to dish out $33,002 for actual All-Star Game tickets at Citi Field for Father's Day? Not a problem! Make your dad smile by getting him just silly hammered a bottle of this stuff for $24.99! It's available at a handful of liquor stores in the Northeast (including a Costco! ), but you can also order it online. Like a late-season collapse, a monster contract for a bust of an injured free agent, or dabbling in a certain geometrical financial scheme with a guy whose name rhymes with Shmernie Shmadoff, these bottles are sure to go down in Mets lore. For once, a Mets wine that doesn't include the letter "h"!